I absolutely love watching old movies. From the fantastic outfits - usually designed by Edith Head, to the gorgeous sets and snappy dialogue watching old movies is one of my favourite things to do early Sunday mornings. Rifling thru my bathroom photos I came across the vanity above. 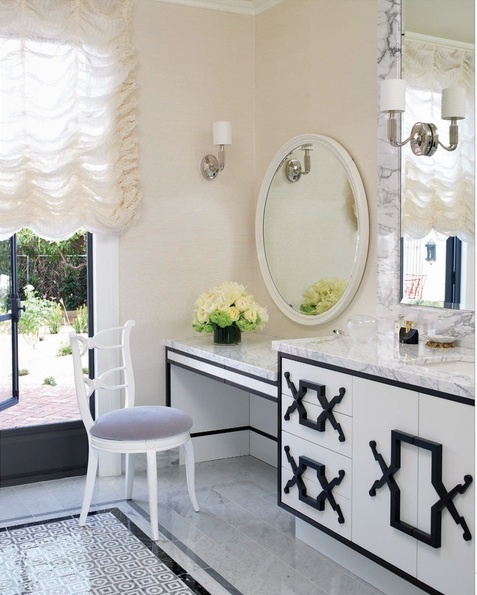 The retro black and white pattern design on the vanity combined with the little makeup station just screams Old Hollywood Glamour. 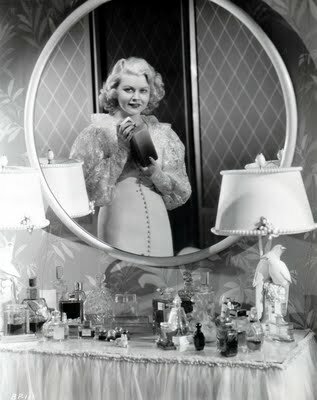 Throw a pink feather boa over that chair, add some pretty perfume bottles and one or two antique silver frames, a big powder puff and this bathroom could easily be transported back to the times of the silver screen.